A Santa Clarita resident is among the victims of a helicopter crash that killed three men in Acton on Sunday, a coroner’s official said Monday. David Gene Gibbs, 59, of Valencia, Michael William Donatelli, 45, of Indiana, Pa., and Darren Arthur Rydstrom, 46, of Whittier, were killed when their helicopter crash-landed at the Polsa Rosa Ranch on Sunday, said Ed Winter, assistant chief coroner. The crew was filming an untitled television show for Bongo productions, according to Philip Sokoloski, vice president of integrated communications for Film LA, the office that permits shooting in unincorporated Los Angeles County. An early-morning helicopter crash in Acton has killed three people. 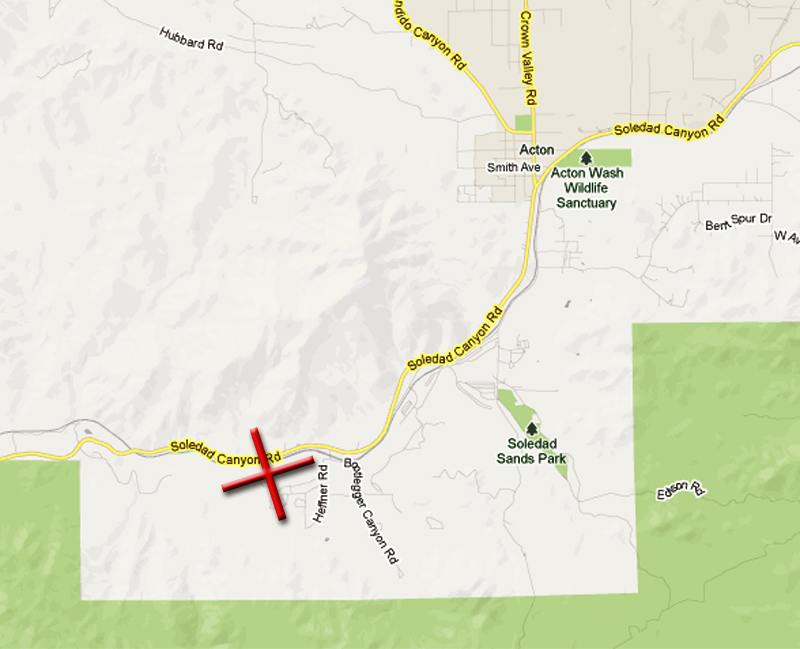 The crash occurred about 3:40 a.m. at the Polsa Rosa movie ranch, which is located Soledad Canyon Road, southwest of the town of Acton. A production company recently filed for permits to film a reality television show with the use of a helicopter. That filming reportedly began Saturday. Robert Diaz, a Los Angeles County Fire Department dispatcher, said everyone on board the helicopter died. The NTSB reports that the incident involved a Bell 206 helicopter.